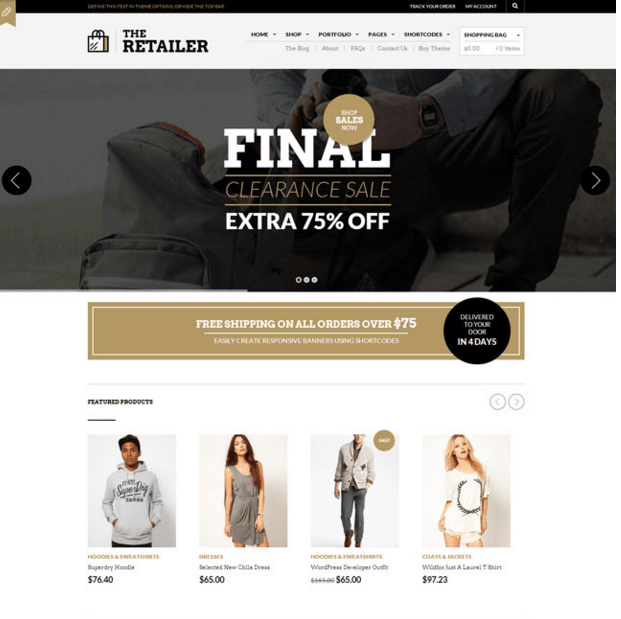 Atelier is a responsive WordPress theme built for creative multipurpose ecommerce websites. This theme is responsive and retina ready thus making it capable of adapting devices ranging from desktops, laptops, tablets, mobile phones to iPads and iPhones. On activating this theme you get a huge set of theme options panel which has lot many powerful settings to choose and customize site with few clicks without any knowledge of programming. The most important feature of this theme is that it comes prepacked with an amazing page builder plugin called Visual Composer which makes your website layout easy to build. Visual Composer is a drag and drop frontend and backend page builder with 40+ built in elements like Text Separator, Message Box, Image Gallery, Tabs, Tour Section, Accordion, Icon Element, Posts Slider, Widgetised Sidebar, Button, etc. 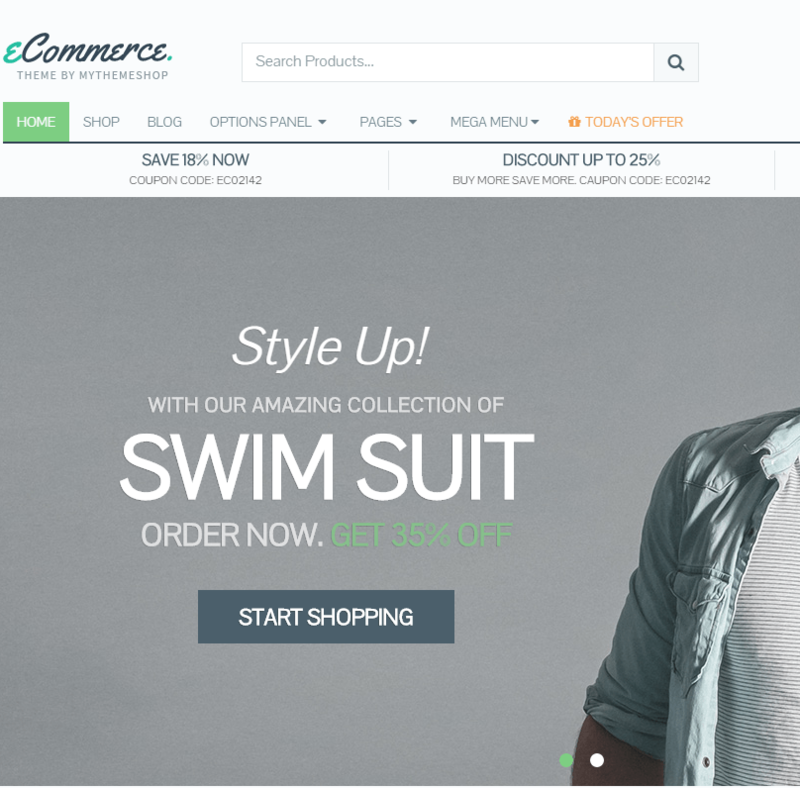 Another feature is that it is compatible with Woocommerce plugin which will let you build your own online shop with it which is the main purpose of this theme. Also it is a translation ready theme with WPML compatiblity. Compatible with BuddyPress for building social networking site and bbPress plugin for forum or community website, compatible with swift page builder as well. Unlimited Portfolio/Blog pages layouts- Limitless Blog & Portfolio configurations are possible in this theme. Unlimited Sidebars are supported in this theme. Child Theme included and documentation to help you make the most out of it. I had a very good experience after using this theme for my site that allowed to showcase all the products in a very elegant way. 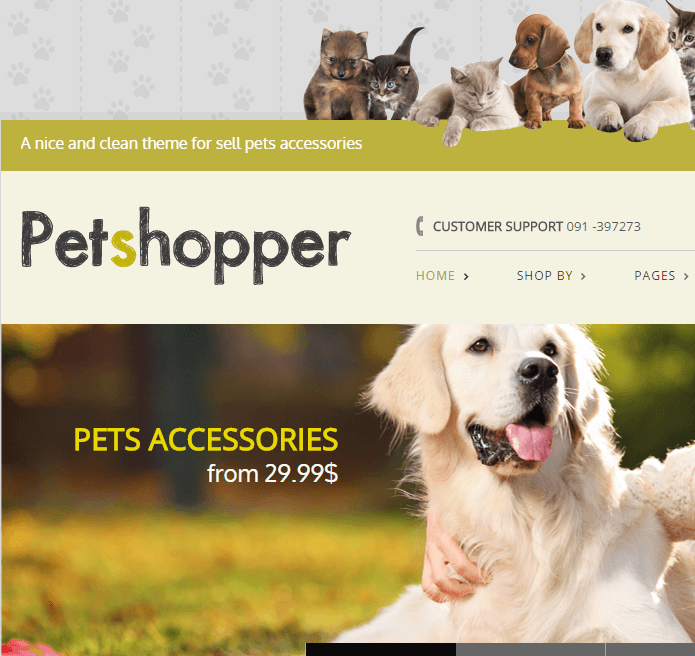 It is also one of the very responsive theme that allows the users to easily access the site. This theme comes with a built in Mega menu that is really amazing.